Imagine a Hebrew Sunday School where kids don’t want to miss a day. They come in with a smile and leave humming a Hebrew song. Walking through the halls, you can hear the sounds of lively discussion, of singing, laughter and prayer. Imagine a child who feels the warmth and spirit of Judaism and then imagine the pride of his or her parents. 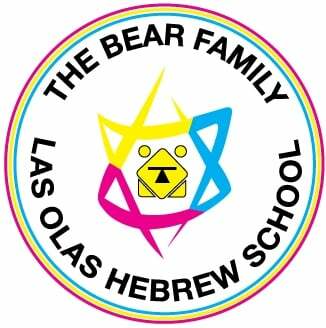 Welcome to the Las Olas Chabad Hebrew School! Our school offers a stimulating and motivating, hands-on Aleph Champ program for children, ages five through thirteen, where they acquire a broad knowledge of the fundamentals in Judaism through fun and exciting Hebrew classes. Bar and Bat Mitzvah preparation is an exciting adventure that our young adults look forward to. The students gain an appreciation for the joys, values and traditions of our heritage as it is vividly brought to life by the dedicated and enthusiastic teachers whose creativity and dynamism make every lesson a unique learning experience. I am looking forward to a fun and successful year of learning.